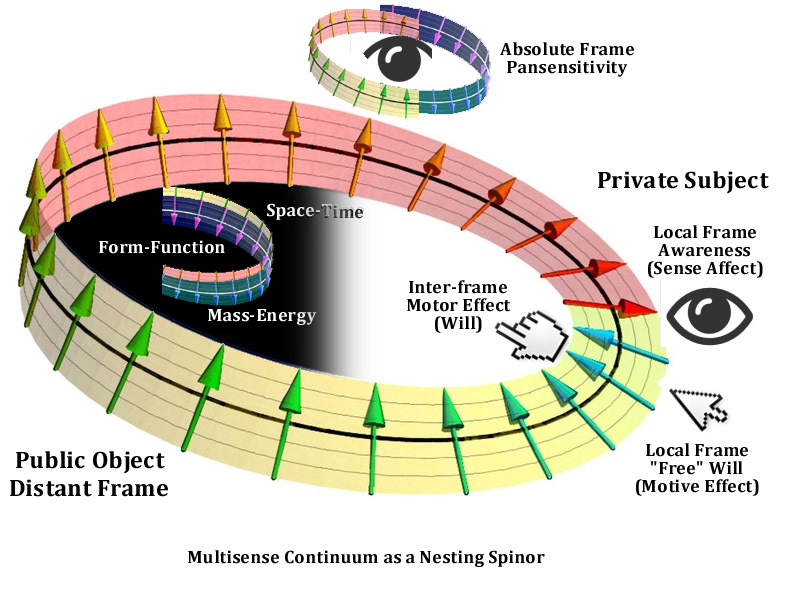 Here is an adaptation of a spinor topology to show the relations within aesthetic phenomena that give rise to realism. Note the adjacent red and blue arrows in opposite directions make an ideal place for the sensory-motive locus, where input/output is experienced directly. The opposite side of the band is the ‘object’ side, where inertia and determinism present a united front against the subjective perspective. 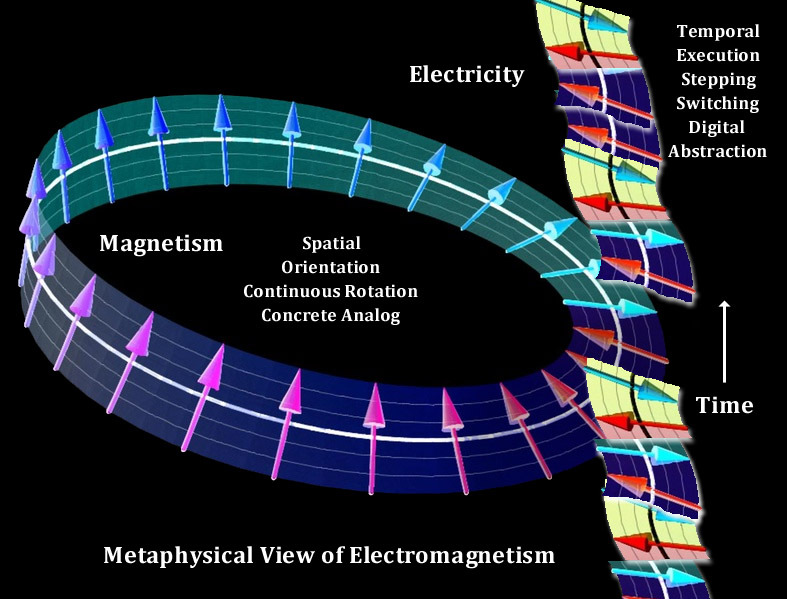 The conventional understanding frequency and wavelength are here inverted, so that we are thinking about them from the inside rather than as objects of study. A wave is an outsider’s view of an occurrence which is only metaphorically wave-like: a surge of changing phenomenal quality.